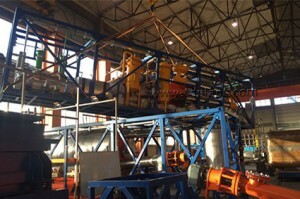 Fulfilling the contract obligations for supplying a set of equipment with the Client, the drilling waste utilization center near Krasnoyarsk city the IPEC company shipped continuous pyrolysis plant TDP-2-800 with the capacity of 800 kg per hour by oil-containing waste to the Client’s production site. 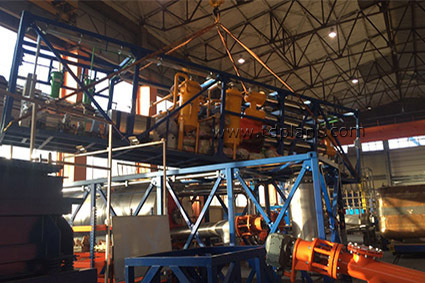 This equipment is specifically designed to utilize oil sludge and oil contaminated soil, as well as drilling waste. The processed waste is turned into marketable goods: boiler fuel and technical subsoil. 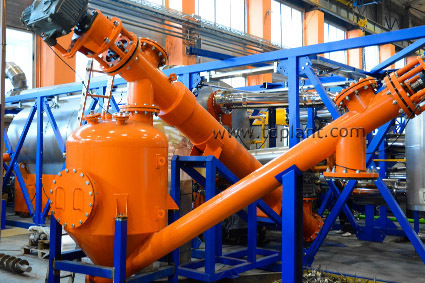 The plant is manufactured and assembled at in-house manufacturing shop. Within limits of the same contract the new, more powerful version of the plant, TDP-2-2000 with the capacity 2000 kg per hour was designed and now its manufacturing is close to the completion.